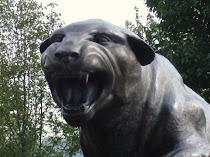 Pitt's 2010 football schedule is out and while it's not the toughest ever, it will certainly be a challenge. Pitt will be tested right from the start as two of their first three opponents, Miami and Utah, have been showing up in more than one preseason Top 25 list. Not exactly an ideal scenario for a team with a new quarterback. The opener on the road at Utah has me VERY concerned. The good news for Pitt is that those early games won't have any bearing on winning the conference. 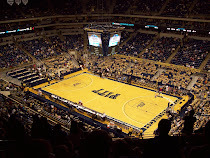 After a winnable game against FIU, Pitt then goes on the road to face Notre Dame. Losing their QB and top WR to the draft should make them a little less potent, but they're still Notre Dame. Pitt kind of eases into the Big East conference schedule, but things pick up at the end. They go on the road for a Thursday night game at UCONN then on the road the following week at USF. The worst part is that Pitt will then have WVU on only six days rest for the Friday game after Thanksgiving against WVU, then finishes up on the road against Cincinnati. All in all, the schedule isn't a recipe for an undefeated season. Another 10-win season is not out of the realm of possibility, but I'd say it will be difficult.